Meridian Park and Ballinger Neighborhood Associations are seeking community-minded neighbors who either own businesses in Shoreline, and/or who live in Shoreline and own businesses nearby, to be sponsors for the 10th Annual Outdoor Movie Night happening on August 25th. This year's movie is The NeverEnding Story. 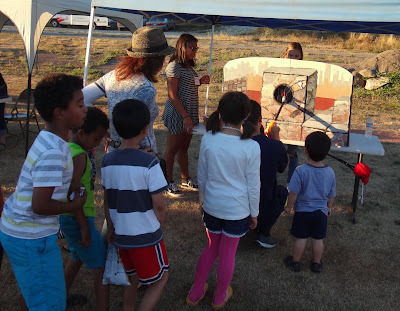 The Outdoor Movie Night event is so much more than a movie in a field. 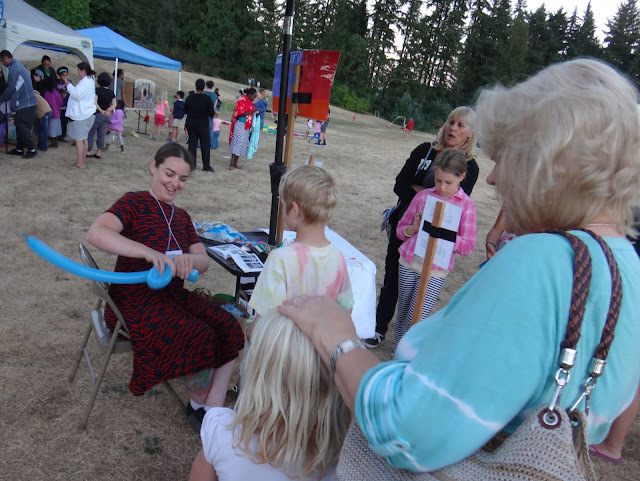 It is an evening of play and connection with lawn games, movie-themed crafts, giant bubbles, balloon animals, robotic and remote control plane demonstrations, and face painting. Since it is 100% powered by volunteers from the neighborhoods and attended by 400-600 neighbors it is truly a grassroots-generated activity. Do sponsors receive anything in return for their financial support? Yes – at the $100 level their promotional slide plays in rotation on the big screen before and after the movie, and for the following year Ballinger and Meridian Park Neighborhood Association websites will feature listings of their businesses. Smaller donations will garner website listings. The biggest takeaway for business owners is, however, the ability to do good in one’s own community. Do good and feel good. Win win! To find out more about how to support this wonderful event contact Nicole Flanagan.